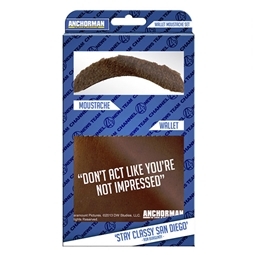 Need a moustache? Why not try the Glow in the Dark Moustache Face Tattoo? 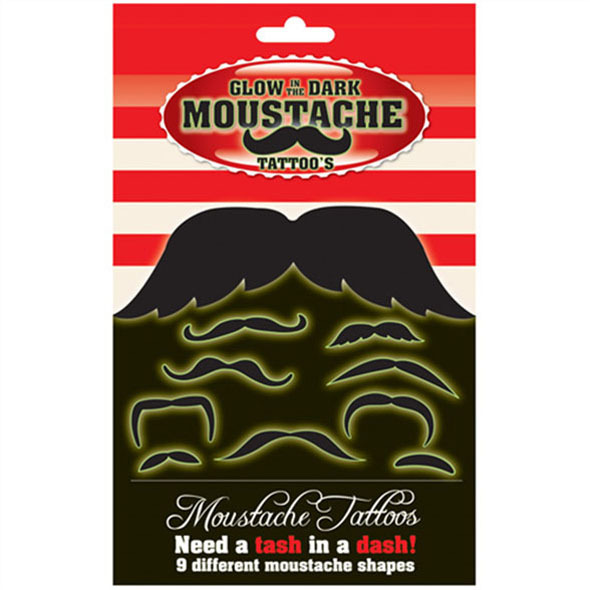 Not only will you have a choice of amazing moustaches, but they will also glow in the dark! Cool right? They glow in the dark too! As of late, bushy beards and mighty moustaches are all the rage. Unfortunately, not everyone can grow one - or at least grow one in a cool and manly style anyway. For many men, participating in the Movember challenge is just a pipe dream. That's why we got our hands on these amazing Glow in the Dark Moustache Face Tattoos. These incredible moustache tattoos come in a variety of styles, so fear not lads - you no longer need to feel tache envy! In fact, when they see your bad boy moustache glowing in the dark I'm pretty sure it's the others who will be envious of your majestic moustache. 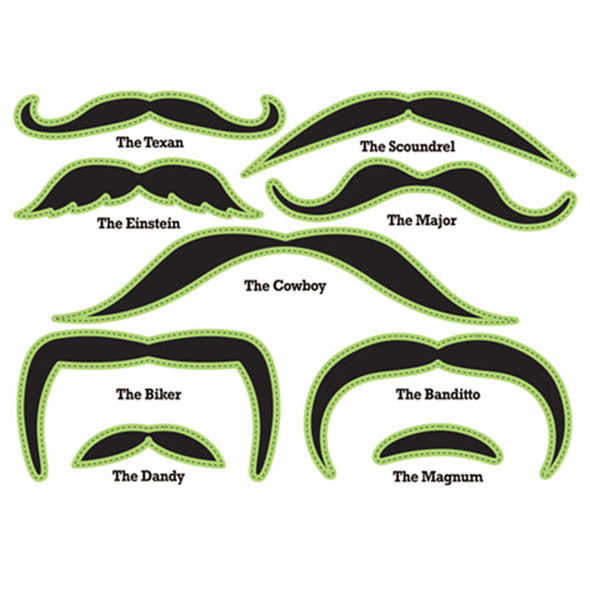 These moustache face tattoos make a fabulous fancy dress costume addition - they're perfect for stag dos where you and your mates can have one each, but we also like them just fine as they are. The Texan, The Scoundrel, The Einstein, The Cowboy, The Major, The Banditto, The Magnum, The Dandy, The Biker.